Born: 10 May 1905, London, United Kingdom. Died: 5 January 1965, Achimota, near Accra, Ghana. Cecil Jackson, after obtaining a BSc degree in veterinary anatomy and physiology at the University of the Witwatersrand in 1924, qualified as a veterinarian (BVSc) at the Veterinary Faculty of the University of Pretoria at Onderstepoort in 1929. From 1930 he served as Research Officer in the Anatomy Section at Onderstepoort and from the next year also as lecturer in Veterinary Anatomy at the same faculty. He is best known for his classical work on the incidence and pathology of tumours of domesticated animals in South Africa, based on a study of the Onderstepoort collection of neoplasms, with special reference to histopathology. For this work he was awarded a DVSc degree by the University of South Africa in 1936, while his thesis was published in the Onderstepoort Journal of Veterinary Science and Animal Industry (Vol. 6(1), 1936, 460p). In the same year he succeeded H.H. Curson* as Professor of Anatomy at the Onderstepoort Faculty and remained in this post until his resignation in September 1955. Jackson was editor of the Journal of the South African Veterinary Medical Association from 1937 to 1946. 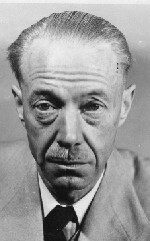 From 1952 to 1955 he was a member of the Tumour Nomenclature Committee of the International Cancer Research Commission. After a short spell as a part time lecturer in comparative haematology in the Department of Physiology at the Medical School of the University of the Witwatersrand, and as Senior Research Fellow of the National Cancer Association of South Africa, he left South Africa in 1957 to take up a position as Consulting Pathologist to the Animal Health Trust in London. In 1958 he moved to Makerere College in Kampala, Uganda, as Professor of Veterinary Anatomy and Head of the Preclinical Veterinary School. The next year he was also appointed Head of the British Empire Cancer Campaign's Comaparative Cancer Research Unit at Kampala. In 1961 he accepted the post of Principle Research Officer at the Biological Research Institute at Achimota, Ghana, where he also served as Acting Director from 1962 until his death in 1965. He was President of the Ghana Veterinary Medical Association in 1963. After leaving South Africa he published a further eight papers, dealing with various aspects of pathology and infectious diseases. He was elected a fellow of the Royal College of Veterinary Surgeons within a few days of his death in January 1965. Obituaries: Cecil Jackson. Journal of the South African Veterinary Medical Association, 1965, Vol. 36(3), pp. 409-410.